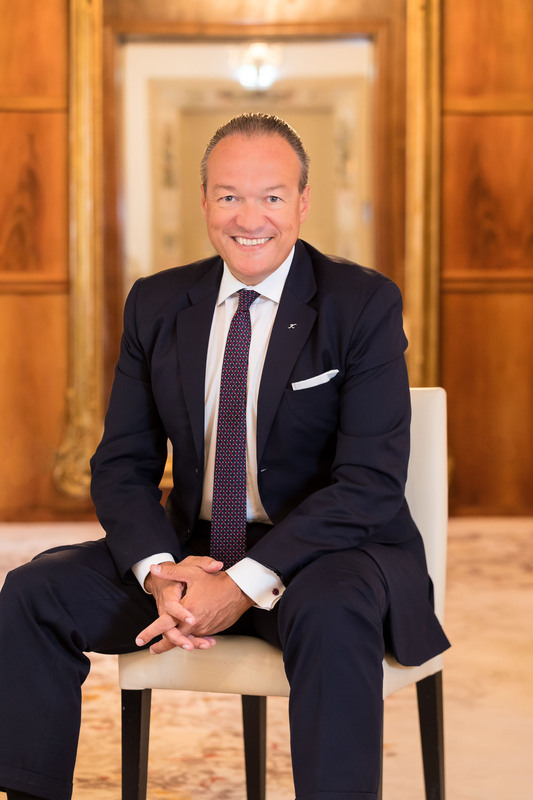 Bernold Schroeder oversees the portfolio in Europe, the original home market of Kempinski and a region of critical importance to the company, with landmark properties including the iconic Hotel Adlon Kempinski and Çirağan Palace Kempinski. Bernold is a Member of the Management Board of Kempinski AG; Executive Director on the Board of Kempinski Hotels SA; and Vice-Chairman of the Management Board of Kempinski Hotels SA. In addition to his leadership in the operations, quality and performance of the vast Kempinski portfolio in Europe, Bernold drives selective portfolio growth in key European destinations. He also works closely with Human Resources to optimise and lead the talent development model for Europe as a springboard to growing the next generation of Kempinski employees globally. A German national, Bernold is an industry veteran with more than 30 years in the global hotel industry covering all aspects of luxury hospitality, from development to operations to sales and marketing. Bernold’s exceptional corporate and operational leadership experience uniquely pairs his deep understanding of an Asian service approach and discerning asset owner relationships with his original European roots, knowledge, and sensibility to craftsmanship, which have remained strong throughout his career. Bernold joined Kempinski in May 2017. Prior to this, he held senior management positions with Pan Pacific Hotels Group, Jin Jiang International, Banyan Tree and Hyatt. He received his early hospitality education in Germany and later completed executive programs with Cornell University and Stanford University-National University of Singapore.